The Key Stage 2 History topic on the Roman Empire and its impact on Britain is often a popular topic amongst students, and so too are school trips. With that in mind School Travel Organiser takes a look at how you can combine the both for a day out discovering the Romans at sites across the UK. Verulamium was the third largest city of Roman Britain and today the Verulamium Museum stands on the site of the Roman town and is open to schools studying the period. A self-guided visit will allow students to discover the artefacts that were excavated close to the museum, in Verulamium Park. They will also be able to find out what the Romans looked like, what their homes were like, what jobs they did and their religious beliefs. Roman artefact handling sessions are also available, as is the museum’s Market Day in Roman Verulamium session, which lets pupils dress up like the people of Roman Britain and visit a Roman market to learn what life was like at the time. Credit: The Roman Baths Bath & North East Somerset Council. A preserved Roman site for public bathing, the Roman Baths in Bath also offers a selection of one hour interactive sessions designed to support the National Curriculum topic on the Roman Empire and its impact on Britain. The session, Roman Life, includes an artefact handling activity and two self-guided activities, which combined can take in topics such as bathing, food, buildings, and technology during Roman settlement. For lower Key Stage 2 students a Meet the Romans session involves dress-up and artefact handling. Sessions take place in the Roman Baths’ dedicated education room. An important part of the history of Roman Britain, the Arbeia Roman Fort guarded the main sea route to Hadrian’s Wall. 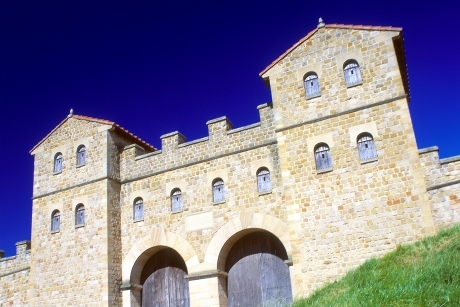 Schools can visit and take part in a selection of workshops, talks and tours to discover more about the Arbeia Roman Fort and what Roman life along the frontier was like. Sessions include Those Crafty Romans, Roman Army Life - A guided Tour of the Reconstructions, and Time Quest – The Dig, which see students take on the role of archaeologists and learn how to interpret excavated finds using real artefacts. 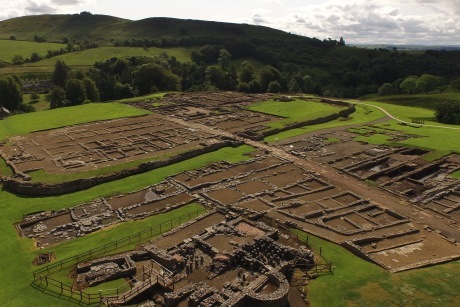 Vindolanda was a Roman auxiliary fort found just south of Hadrian’s Wall. The Vindolanda Trust welcomes schools to its two sites of Roman Vindolanda and the Roman Army Museum. Talks by archaeologists are available and during visits between the end of March and the end of September pupils will also be able to see live excavations. 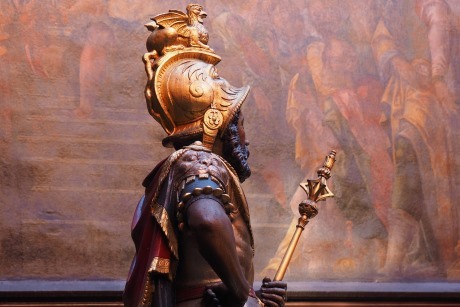 The Roman Army Museum is an interactive museum, which details all aspects of the Roman Army from the material evidence found. Students can also take part in a Latin lesson led by the museum’s holographic teacher, Velius, and watch a 3D film called Edge of Empire, which looks at what life would have been like on Hadrian’s Wall. Segedunum (meaning ‘strong fort’) Roman Fort, which was built to guard the eastern end of Hadrian’s Wall and housed 600 Roman soldiers, stood for 300 years as a symbol of Roman rule. Its importance remains today and it is said to be the most excavated fort along the wall with surviving foundations of buildings and part of the wall itself. A Roman Life Learning tour, which can be arranged to focus on a particular part of Segedunum such as the fort site, Hadrian’s Wall or the Bath House, is available for schools to book, as is a Roman Life in the Fort workshop, which encourages students to discover what it was like to be a Roman soldier as they pretend to be new recruits in the Roman Army, arriving at Segedunum for their training.